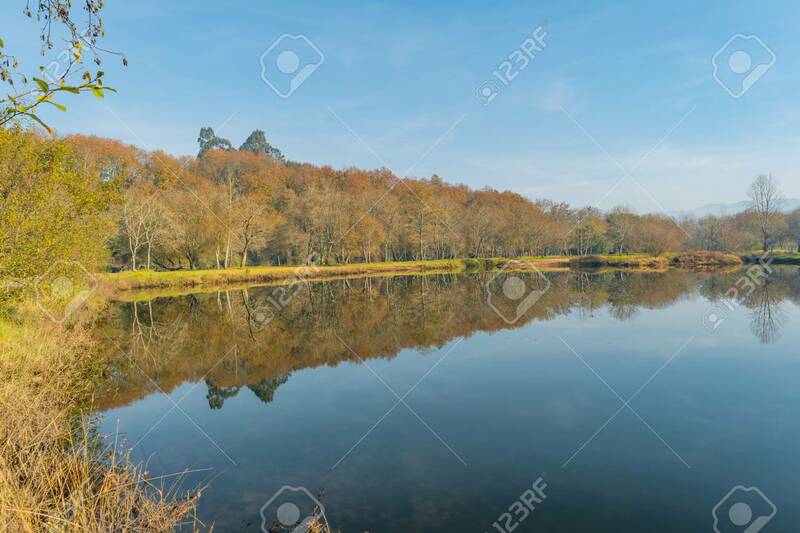 Landscape Of The Lima River In Ponte Da Barca, Portugal. View Of The Poets Park To The River Lima Royalty-Vrije Foto, Plaatjes, Beelden En Stock Fotografie. Image 116159227.